To know what true calm and relaxation are, you need to have the best meditation pillow. Do not get us wrong, yes, it is used for yoga and meditation sessions, but it can also be used as is. You might be surprised that meditation pillows offer next level softness and comfort. 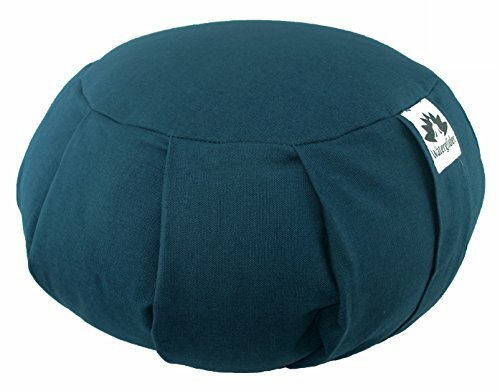 A lot of people tend to buy wrong meditation pillows as they look like any other floor pillows. The difference of a meditation pillow is undeniable if you take a closer look at the structure and the make of the pillow. Definitely, a good meditation pillow can hold its original shape but still provide you utmost comfort as if you are sitting on a cloud. Let us now take a look at three different meditation pillows and find out which one is the best. We are going to evaluate their features as well as the pros and cons of using them. 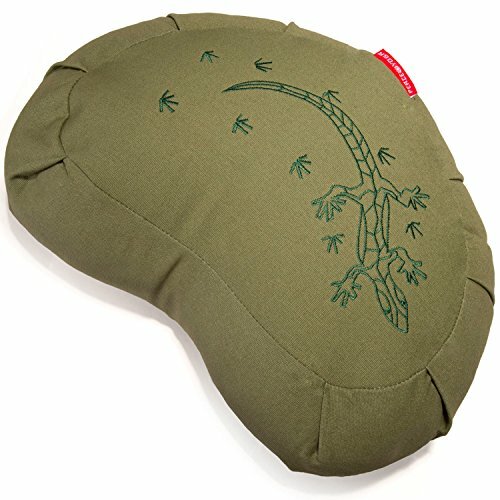 This meditation pillow was specifically made for those who practice yoga. But of course, just like what we said earlier, it can still be used for just sitting and lounging around. This was actually designed by Angela Kukhahn who is a yoga instructor, so you are ensured that you have the right curves for proper meditation practice. Much more interesting is the fact that it has the right height and support to be able to align your spine correctly. It also features a round and modern design which will easily go well with a lot of different interiors. The outer cover is also removable if you need to wash it. At the same time, its inner liner is certified by GOTS, so it is definitely made with organic cotton. As for the pillow fill, it is filled with buckwheat so it will be very easy to adjust the firmness and the shape of the pillow. Additionally, it comes with a handle that is very sturdy so that you can easily transport this pillow from your home to your yoga studio. Moreover, it does not contain any flame retardants, formaldehyde, phthalates, or heavy metals. Therefore, those who have a lot of allergies will not be affected by this pillow. The next meditation pillow that we are going to discuss has a more traditional feel to it. The brand takes pride in the fact that this meditation pillow was made responsibly and ethically. What is unique about this is that it is actually overstuffed so that you can easily personalize your cushion. This pillow is filled with buckwheat husks that are organic and such was grown in the USA. At the same time, the overall shape is that of a traditional round shape. It also comes in many colors like black, burgundy, grass, orange saffron, plum, and twilight. In addition, it has a handle and with that lies the zipper. What is that zipper for? It is or when you need to take out the fill so that you can wash the pillow cover. 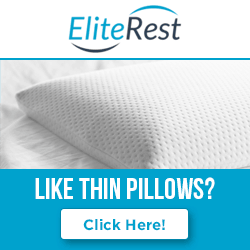 At the same time, you can take out some of the fill to adjust the firmness or softness of the pillow. The last pillow that we are going to discuss is a very versatile one because of its shape. It has a curved and crescent shape that is great to be used for yoga sessions and regular sitting. Additionally, it offers support to your limb, spine, and neck. This pillow has a grab-and-go handle for easy transport. It serves a lot of purposes because it can also be used as a yoga block for posing and stretching. The shape itself will enable you to put your feet closer without exerting much pressure. In turn, this also relieves leg stress. There are two available colors which are green and purple. It is filled with buckwheat hulls that do not retain heat, so you will have a comfortable experience. What is better is that an inner case protects these hulls. Moving on to the outer case, it can be removed for washing purposes. It is safe to be washed in the washing machine, and in order to remove the hulls, you only need to access the zipper that is hidden at its center. The zipper can easily break. It will be the ideal situation if you can use the meditation pillow for both yoga sessions and regular sitting. But let us be reasonable here, meditation pillows were made for exactly that—meditation. Hence, in choosing the best meditation pillow, our priority should be the fact that it can be used for that. 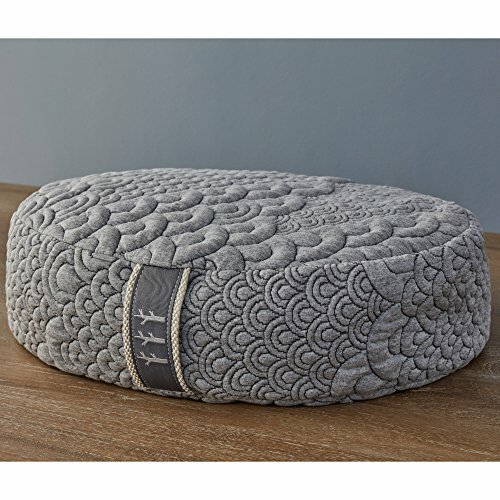 With that said, the best one is the Peace Yoga Zafu Meditation Pillow Cushion. It might not look much but do not underestimate this pillow because it is so versatile especially when you are going to use it for yoga and meditation. Not only can you sit on it, but you can also incorporate it in certain yoga positions to make them easier to do. Definitely, it is the only pillow in this list that can assist you but at the same time keep you comfortable. What are you waiting for? Start meditating and be more comfortable while doing yoga with this pillow.